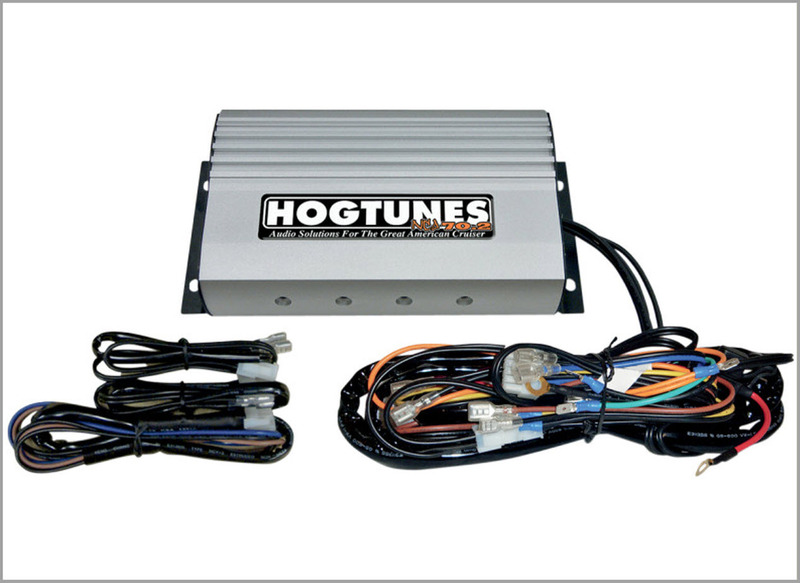 Includes all required wiring if amp will power fairing speakers, fairing lower speakers, rear speakers, or if this amp is being used as second amp in a Hogtunes system. 70 watts/channel at minimum 2 ohms. Will work with all models of Hogtunes replacement speakers.